There are many benefits to cloud computing. From its cost-efficiency and nearly unlimited storage capacity, this technology can really benefit businesses of all sizes. However, there are several downsides to cloud computing, as well. I browsed a few articles pertaining to pros and cons of cloud computing from the business side of things to better my understanding of how I could make use of this technology in the future. The article above is the one I found most helpful in summarizing both the advantages and disadvantages of cloud computation. Cloud computing as a business option, however, seems a little distant to me at this point in time. I decided, then, having learned that cloud computing is very much a party of everyday internet life in the form of social networks, to look further into how cloud computing benefits the user. I found this video on Youtube, and feel it is effective in communicating the advantages and current uses of cloud computing. Specifically, I think this video highlights how cloud computing enhances the ability to share, which is a key aspect of the Web 2.0. DigiBC – The Digital Media and Wireless Association of BC | Cloud Computing – A growing Cyber Risk ? While I do recognize the benefits of cloud computing, I believe that often times the security risks are overlooked. I decided, then, look further into risks associated by subscribing to platforms that use cloud computing, such as Facebook. Surprisingly, it took a great deal of effort and wading through ‘risks to business owners’ before I was able to come up with any real information on the implications of cloud computing on social media. What I did find, shown above, was a small snippit of information advising users to be wary of sending personal data off into cyberspace, as cloud computing means it has to travel further and in a potentially insecure manner. I think this is an important point that deserves more attention. Being a New Media student, I began looking for interesting applications of cloud computing that fall outside the realm of the ordinary, mundane business world. I recalled hearing in recent years that, in an attempt to evade the police, The Pirate Bay was considering launching its servers into low-orbit, an idea that seems fairly ambitious, yet commendable. I decided to check up on whether or not they had gone through this tedious process, as it occurred to me that cloud computing was perhaps a more viable option. 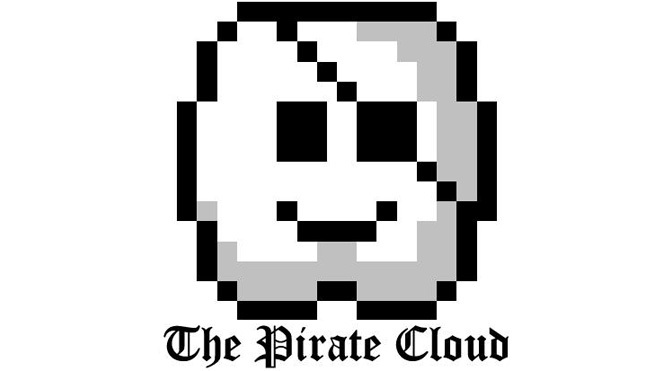 Sure enough, The Pirate Bay has enlisted the help of cloud computing to ensure the continued distribution of free information. While I’m not looking to outsmart the police, I think this is an effective example of how cloud computing makes life easier: it prevents the need to develop low-orbit drones! Though I have focused mainly on cloud computing throughout this story, I would like to turn now to online collaboration. I’ve included what I’d consider to be my favourite example of online collaboration: Star Monarchy. Star Monarchy is a music project started by bassist Ray Riendeau. It enlists the talent of many musicians who I am quite found of, such as Rody Walker and Dan Tompkins. Because the artists featured are from all different locations, online collaboration was key for this project. Each artist had to record their parts individually and have them shipped off to be mixed together to create the final product. Additionally, Ray made use of social networking platforms such as Facebook in a talent search to provide a few amateurs with a chance to perform on the record. Undoubtedly, this masterpiece would not have been possible without the help of online collaboration. To finish up, I leave you with these questions: How can a person optimize the advantages of cloud computing without falling victim to risks of breaches in security? Do you believe changes need to be made on the hosting end or on the part of the user, if at all? Do you think that the sense of anonymity created by mass participation in this type of technology devalues the threat of a potential security breach, or puts more weight on the strive for security measures?